CINCINNATI -- A judge will decide in October if federal charges against a Newtown landscaping company and its well-known owner, Doug Evans, should be dropped, or if the case will go to trial next year. Defense attorneys filed motions on Friday to dismiss all charges, arguing that federal prosecutors cannot prove core elements of their case against Evans, the Newtown company he founded, Evans Landscaping, and the company’s vice president of operations, Jim Bailey. “When, in a criminal case, it is plain that the charged offenses cannot be proven, the court should dismiss the indictment,” Evans’ attorney, Ben Dusing, wrote in his motion to dismiss. Prosecutors, who spent two years building their case of alleged minority contracting fraud, will no doubt argue that the charges should stand. U.S. District Judge Michael Barrett will decide the issue at a hearing on Oct. 10. The case is tentatively set for a jury trial in March. Evans, 55, built a landscaping empire from a humble beginning hauling mulch in a pickup truck as a teenager. His company now employs more than 300. Prosecutors accuse Evans, who is Newtown’s largest property owner, of using a small front company to win minority and small business contracts. He faces up to 103 years in prison. Evans and Bailey face the same charges: two counts of conspiracy to commit wire fraud, three counts of wire fraud, and one count of misprision of a felony. 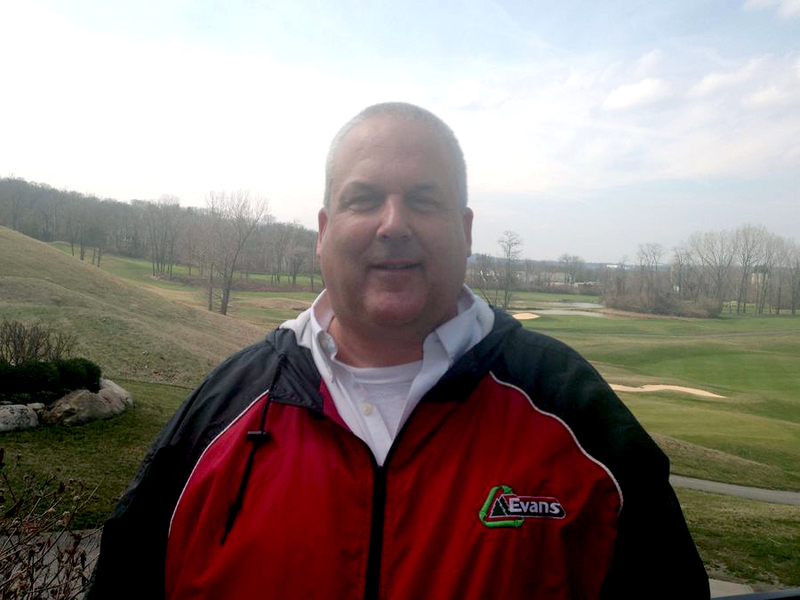 The company, Evans Landscaping, faces five charges and a potential $1.25 million in fines. Prosecutors allege that Evans and an IT employee, Korey Jordan, created a new company, Ergon Site Construction, in 2008 to act as a front for Evans to win minority and small business contracts with the city of Cincinnati and the state for demolishing houses, public schools and other projects. Jordan agreed to plead guilty to one count of conspiracy to commit wire fraud. As part of his plea agreement, he will testify at trial. Evans’ fate may boil down to what the judge and jury believe about the true relationship between Jordan and Evans. Dusing said Evans was just trying to help Jordan start up his own minority-owned business by giving him $85,000 in startup money, guaranteeing a line of credit and teaching him the business. "He was trying to do a nice thing," said Dusing, who successfully defended Kenwood Towne Place developer Matt Daniels against charges of fraud in 2013. In his motion to dismiss, Dusing argued that since Jordan was the sole member of Ergon, only he could make business decisions for the company. “The idea of ‘control’ of Ergon by the Evans defendants is, therefore, a legal impossibility,” Dusing wrote. Attorneys also argue that Evans and Bailey cannot be convicted of wire fraud because nobody was actually harmed in this case. Dusing also filed a motion on Friday asking the judge to separate the trials of Evans and Bailey. Up until now, both men have been in court together. Not only would a joint trial be cumbersome and lengthy, it would be unfairly prejudicial to Evans, Dusing wrote. In addition to Jordan, three other Evans Landscaping employees also signed plea agreements admitting their guilt and will testify at trial: Maurice Patterson and John Dietrich, two former CFOs; and former manager Michael Moeller. If the case goes to trial, it will offer a window into how this large landscaping company did business with the city of Cincinnati. With just a shovel and a pickup truck, a young Evans sold mulch to local homes and businesses and spread it himself. After graduating from Turpin High School, Evans didn’t go to college and eventually became a small business success story. When Evans’ wife of nearly 20 years sued him for divorce in January 2015, court filings revealed the size and scope of his wealth. Those records show a 2013 income for Evans of $2.34 million, and bank accounts and investments worth more than $2 million. He also had an ownership stake in 19 companies and trusts and was the sole owner in all but two of them. Evans has also been collecting property for more than 20 years and is Newtown’s biggest landowner. He controls more than 800 acres, including the purchase of Ivy Hills Country Club in 2014. He owns industrial warehouses, farming land, parcels adjoining railroad lines and hilltop land overlooking the Little Miami River that was once owned by George Washington. That real estate portfolio was valued at roughly $18.8 million in 2015, according to auditor records from Hamilton and Clermont counties and listings for his property.